Sales Executive Jobs in BCIL | Walkin Drive On 6th May 2017. Bar Code India Ltd has recently announced the recruitment notification for the position of Sales Executive, Officer. Candidates who are willing to make their career in Sales are eligible to attend this Bar Code India Recruitment 2017. Interested aspirants have to practice BCIL Previous Papers and can also check BCIL Test Pattern for better preparation. 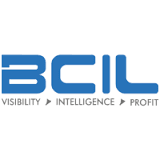 It is the exact place to search the accurate information about BCIL Jobs in Mumbai. Contenders are also suggested to refer the Official Notification to avoid further Complications. Setting up meetings with potential clients and listen to their wishes and concerns. Traveling to visit potential clients. Essential: Engineering in any discipline. Desirable: Masters in any discipline. Freshers welcome, who are willing to make their career in Sales. Interested aspirants can attend Bar Code India Ltd Recruitment 2017 along with mandatory documents. Candidates who are going to appear BCIL walkin can check all the details in this post. We have updated latest information regarding BCIL Walkin Drive. Hope this page will give a Clear idea about BCIL Recruitment. If this Job suits you, candidates can attend directly at the below mentioned venue along with particulars. For more job updates candidates can visit Freshers Jobs frequently and bookmark this page.